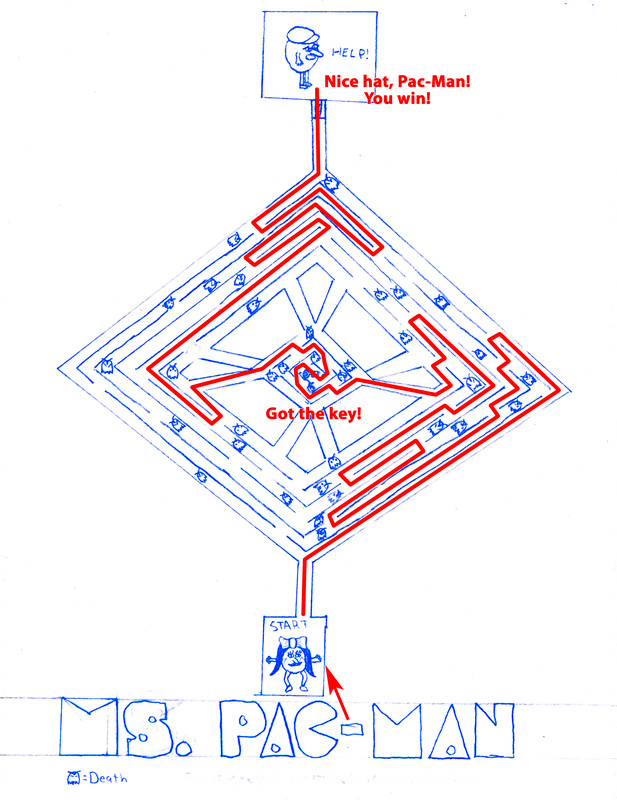 Concept: Ms. Pac-Man ©1981 Midway. This derivative artwork displayed in tribute and under Fair Use. This very-cleared-laid-out-with-a-ruler maze strays pretty far from its source material, but what the hey.